XS is celebrating 10 years in Las Vegas but still feels new and compelling. Its gold furnishings match the image and aesthetic of the Wynn brand, but the real draw is headliners like Drake and the Chainsmokers. The club is one of the largest in Vegas, capable of holding just under 5,000 people at capacity. A new DJ booth was installed last year, which can turn 360 degrees to face either the indoor dance floor or the outdoor pool deck. Fridays and Saturdays are the busiest nights, but the most fun happens when the dress code is loosened and guests are encouraged to hop in the pool during the seasonal Sunday Nightswim. 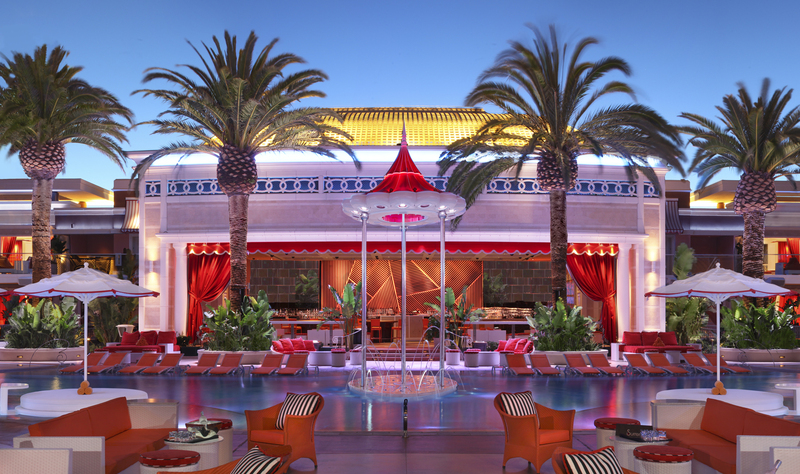 Formerly known as Surrender, Encore Beach Club hosts events both day and night at Wynn Encore's massive outdoor pool deck. The name change took place when the pool was opened up for swimming during all dayclub and nightclub events. The dress code allows board shorts, bikinis and other beachwear. Despite the casual atmosphere, guests can still enjoy VIP table reservations and bottle service. The venue has its own grill to serve food during the day and follows the strict standards of the Wynn's culinary team. In addition to the main pool, the 65,000-square-foot deck includes 26 cabanas 8 climate-controlled bungalows and three infinity pools. There's even a few gaming tables if you're feeling lucky. Playful bottle presentations include a 20-foot-tall ferris wheel that carries four bikini-clad servers and a copper helicopter that carries two serves, both creating quite a scene with sparklers and confetti. 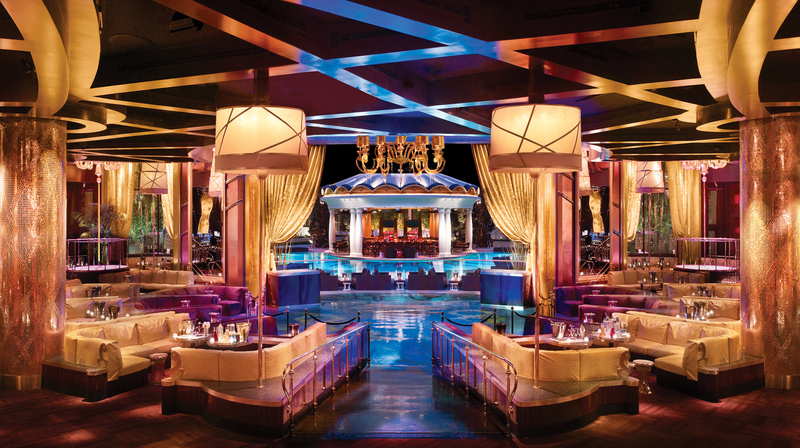 Like XS, Encore Beach Club is only open on Fridays, Saturdays and Sundays, but shares many of the same headliners. The most intimate of Wynn's three clubs, Intrigue is perfect for those who appreciate a smaller crowd that maxes out at 1,800 people. 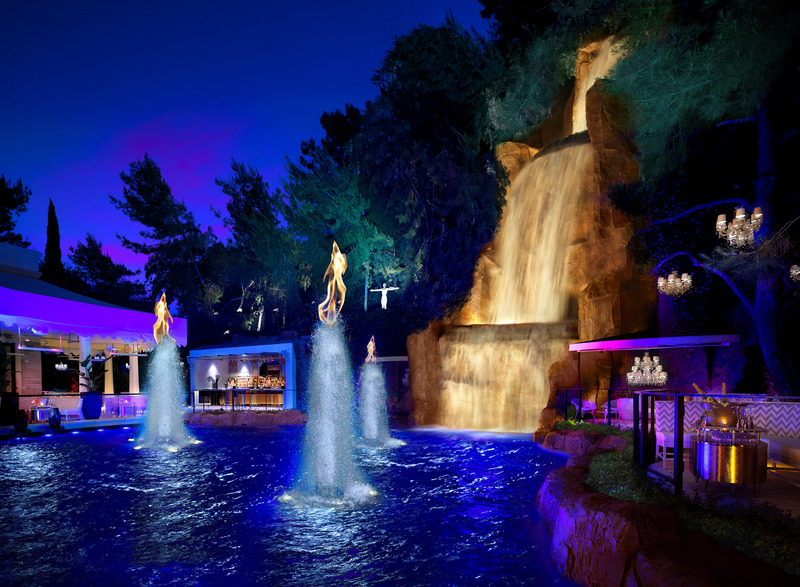 The main room is complemented by an outdoor deck with views of a 94-foot-tall waterfall. Private booths and bottle service are available, but VIPs can also be found next door in the Living Room, a private lounge with a retro feel. Intrigue is open Wednesdays, Fridays and Saturdays. It's easy to see why Wynn Resorts is known for being an exotic and thriving nightlife destination. Contact VegasGiant at 702-476-0001 to reserve VIP table service at any of these three incredible clubs. Hotel suite accommodations and fine dining reservations are also available. When traveling to Las Vegas, book a private jet charter with Cirrus Aviation to enjoy the highest standards of comfort, convenience and luxury. Call 702-472-9714 to reserve your flight today.